It’s almost impossible to lose the trail, some of which is rough and unrideable, and some of which is better than perfect and seemingly, in the middle of nowhere. Perfection in the middle of nowhere, unlike an unheard falling tree, still exists in waiting. There are many resources about riding and hiking the Colroado Trail, so a photo essay seems the most appropriate addition to the current bank of information. 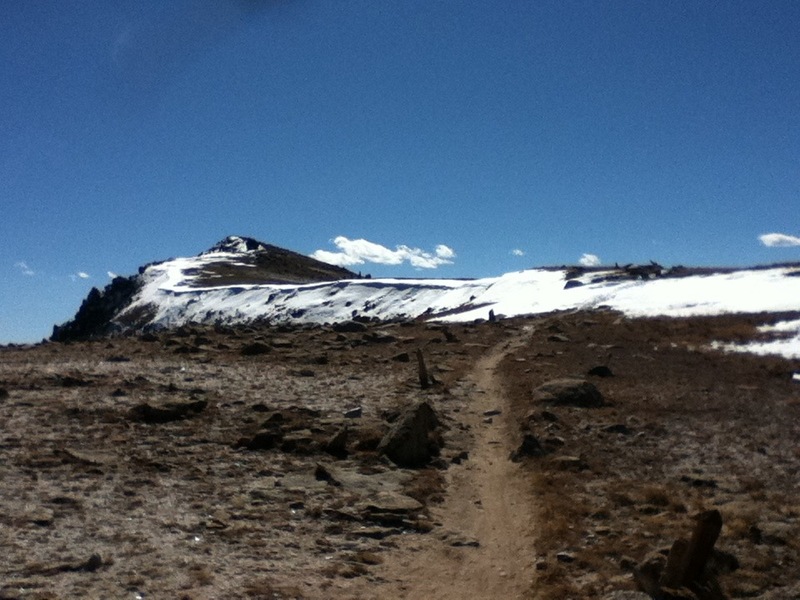 The trail is great, and it’s doable, if extremely challenging. 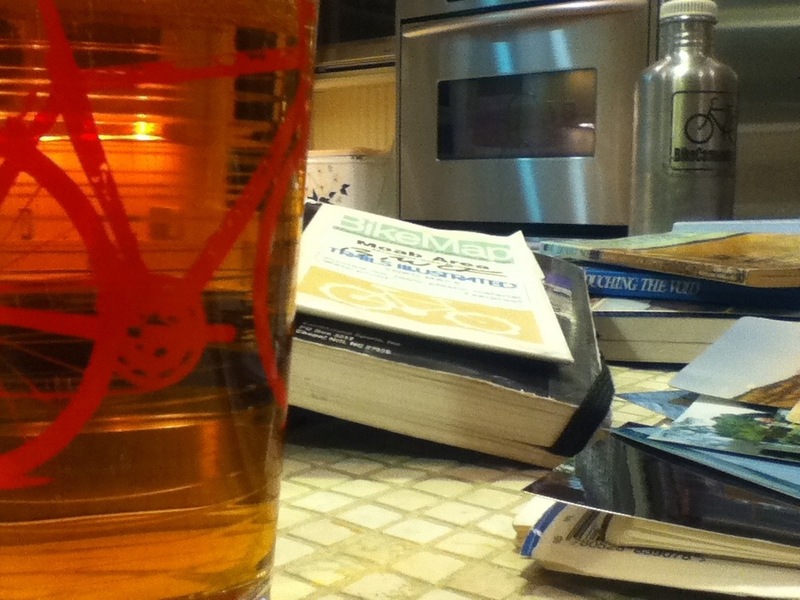 You really only need a bike and the Colorado Trail Databook. 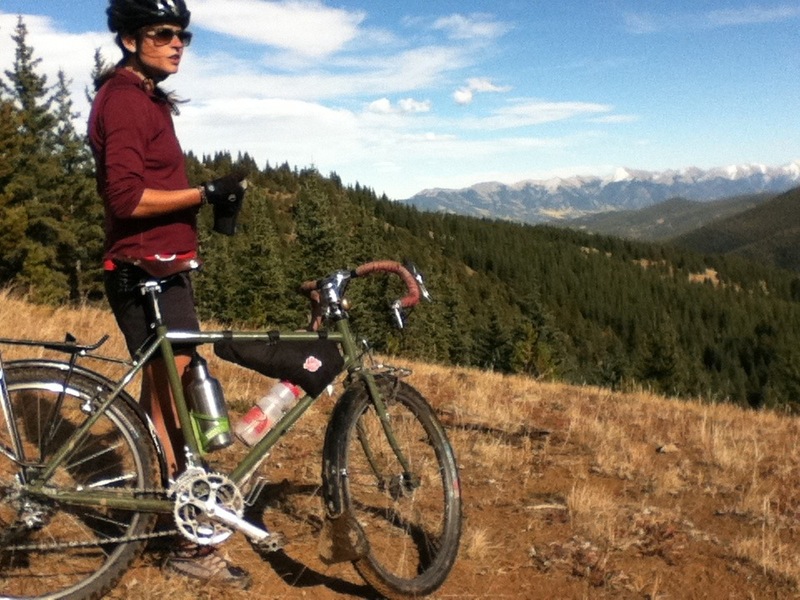 A mountain bike is a necessity, but if you don’t mind hiking and just want to see some of the trail, the first few segments near Denver are accessible on an older rigid 26″ wheeled bike with 2.0″ tires. It’s always more important to get out and do it, than to sit at home trying to figure out how. If you get out and try, you’ll immediately know more than all the online resources could ever share, no matter how vibrant the pictures or captivating the text, it’s all fiction. This blog is a fiction, allowing me to remember things the way I want and to write my own history in which I am a helmeted superhero and my world, perfect. But it’s not perfect as I eventually require some income and winter is imminent and I do all this writing and riding for fun and for free– real life continues in our living fiction, and in fact I’m quite busy. But the Colorado Trail approaches perfection and cuts through the stress of real life, and we’re drunk with it. 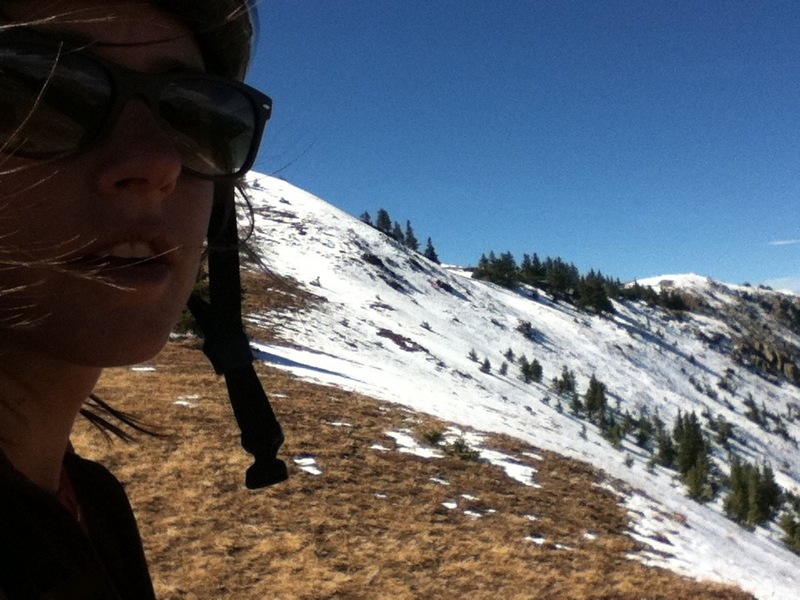 For a moment, we are helmeted superheroes clad in sunglasses and wool, grunting up and hollering down the Rockies. For a moment, perfection. Follow the photos below, imagine and plan your own trip on the local rail-trail, or to the beach; down the Divide or across the Colorado Trail. If you’ve never traveled by bike, it may change your life. 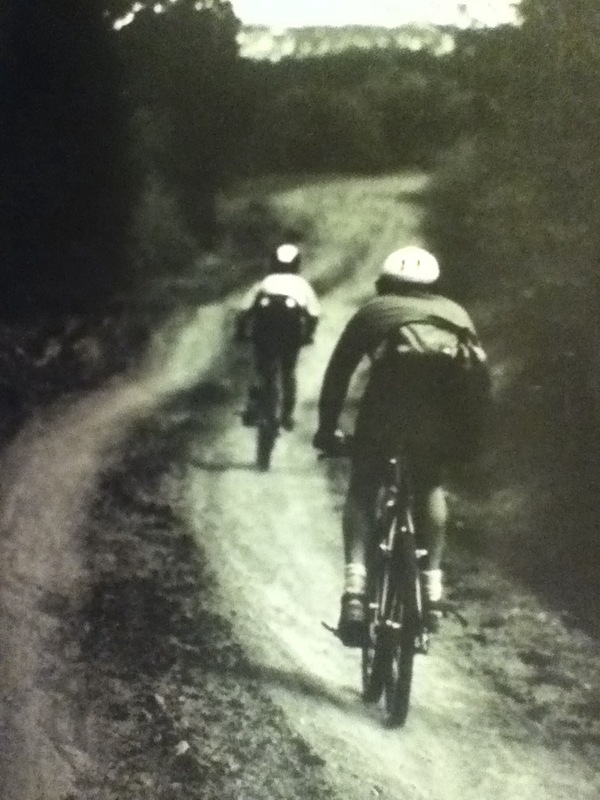 If you have the experience, the time outdoors on two wheels will reinvigorate your belief in the bicycle. You will return home different, if you don’t find a home on the road. South Platte River to Buffalo Creek. Burn area, and the smoothest singletrack of the entire trail. I’m enjoying my used Surly Torsion bars with new Velo Orange thumb-shifter mounts, which fit the Shimano bar-end shifters taken off my drop bars. VO cork-foam blend grips are cool and comfortable on hot days, and cushion my hands on rough descents, although they are more dense than standard Grab-On foam. Unlike Ergon grips, they don’t callous and discolor my hands when riding without gloves. An ergonomic cork-foam grip would be an ideal combination, and would be great on both drop bars and upright bars. For the price of a sandwich, the VO grips fit my budget better than buying another pair of Ergons, as I hacked the last pair to fit my drop bars. Ergons are the obvious choice for anyone spending lots of time on the bike, but I’m always seeking new, low-cost solutions. The new grips don’t make my hands stink like rubber either, the curse of golfers and mountain bike riders alike. Buffalo Creek to Jefferson Creek. Thru-bikers from Durango, and some of the most exotic, scenic riding we’ve done. 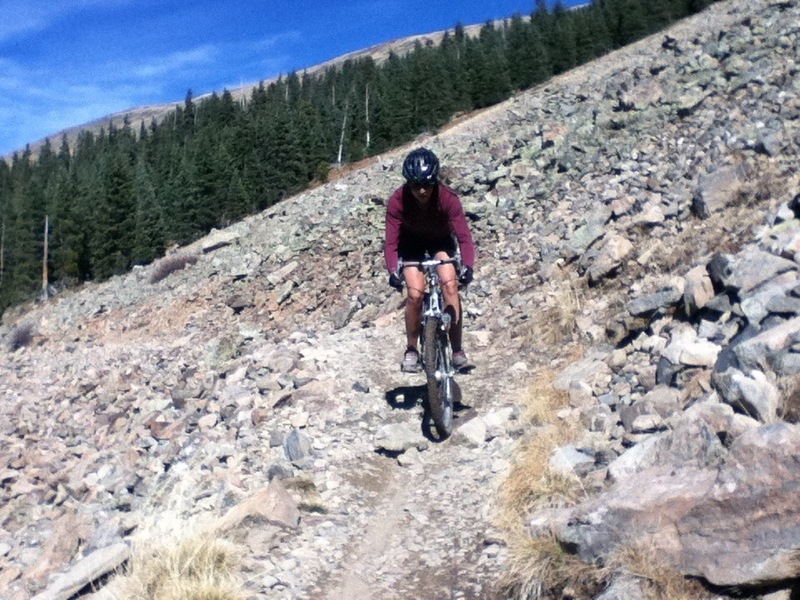 Jefferson Creek to Breckenridge. Georgia Pass, and the intersection with the CDT, which is co-located with the CT for a distance. The final descent to Highway 9 near Breckenridge is amazing. Descend with glee– superheroes. Happy summer kids. We love it. Switchbacks at dusk, descending into town. Perfect. I’m a bit slow to sort through photos and hate to spend time listening to “Endless Love” while borrowing wifi from local Safeway markets and Starbucks lounges. Lael has a new blog, and she’s a real wizard at sitting down and getting it done– she doesn’t like listening to “Endless Love” any more than I do. 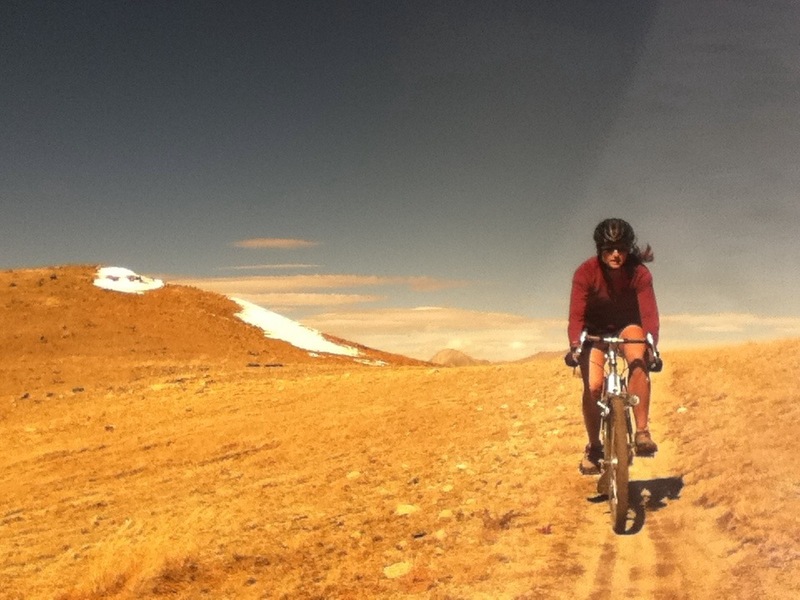 For a colorful preview of our Colorado Trail times, check out Lael’s Globe of Adventure. 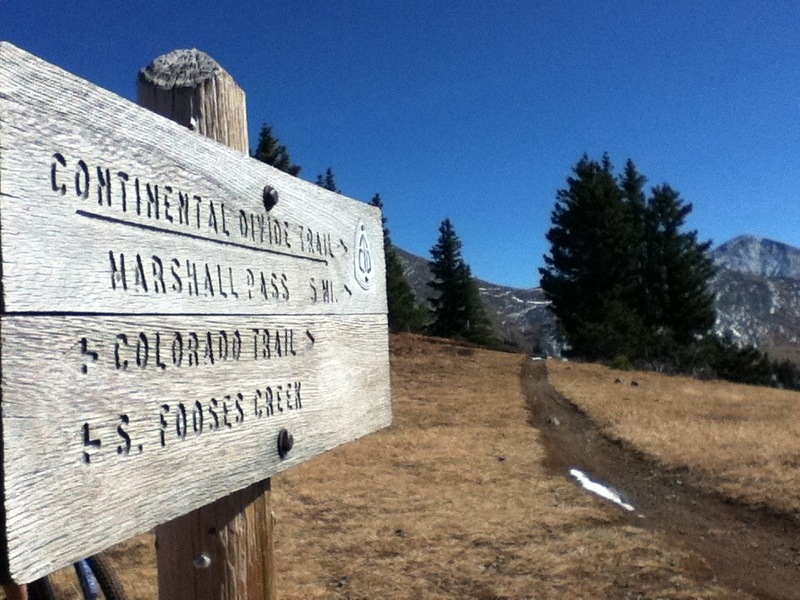 From Monarch Pass to Marshall Pass, the Monarch Crest Trail (MCT) winds its way atop the Continental Divide. The Great Divide Mountain Bike Route glimpses the actual watershed divide on many ocassions; the MCT, and the Continental Divide National Scenic Trail which follows these same twelve miles, actually walk that line. 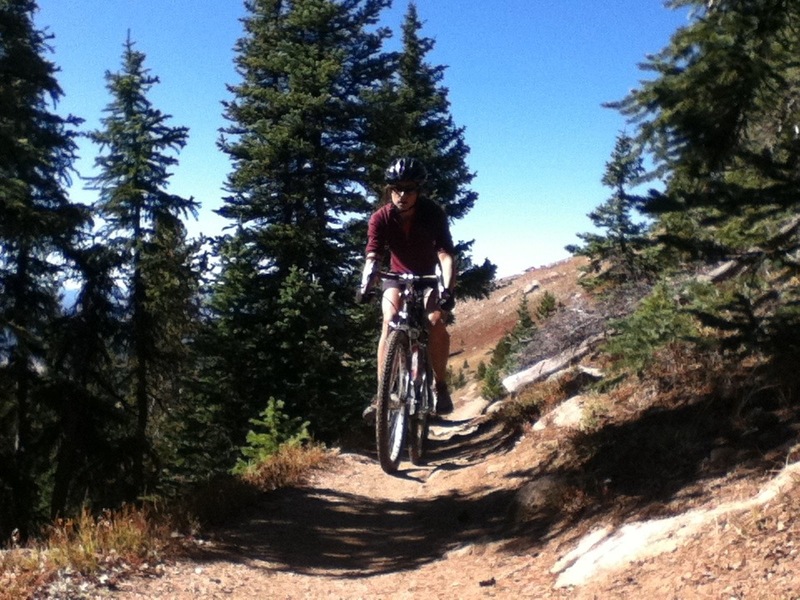 For two hours, we were on either side of a ridge– up and over 12,000 ft– channelled through beautifully maintained singletrack, passing even more beautiful high alpine scenery. 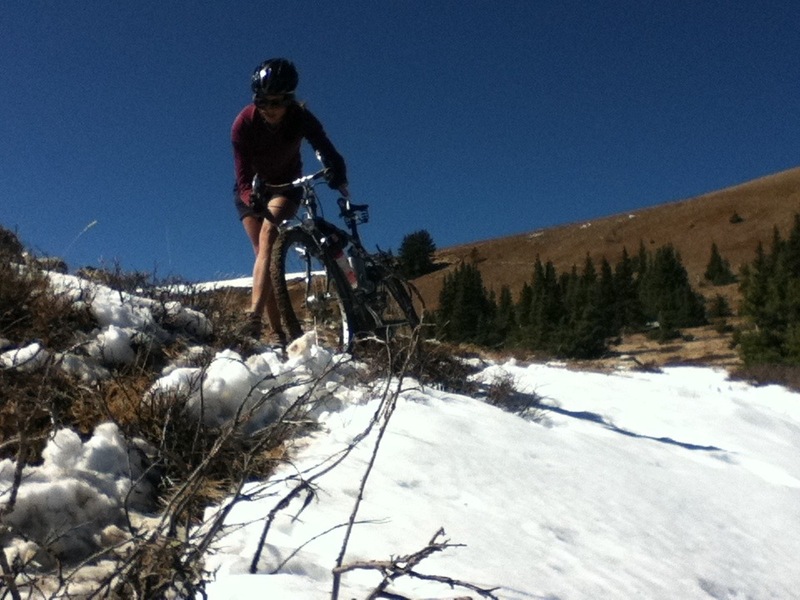 For two hours: we pushed our bikes through recent snowfall, hidden from the sun; crested the CD ridge to views over fifty miles in yet another direction; and for a few moments, enjoyed some quite rideable, “flowy” singletrack atop mountains. This, finally, is mountain biking. From Marshall Pass, several more miles of the Continental Divide/Colorado Trail continue along the ridge before dropping into the Silver Creek Drainage at a rapid rate; descending switchbacks and talus fields, through streambeds and over deadfall. A few smooth sections of trail balance the technical rocky descents, which heat the rims enough to make you wonder, “what’s on fire?”. It’s dried mud and brake compound, with trail detritus, all served on overheated rims. Mmmm. 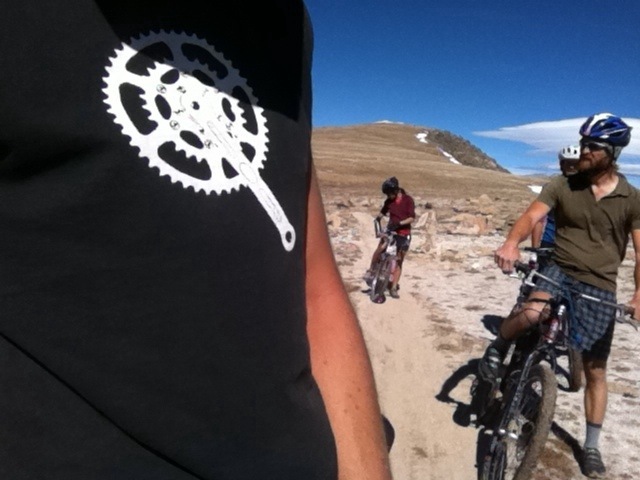 Yesterday was Lael’s first singletrack experience– loaded. Monarch Crest marks a second day of singletrack– this time unloaded– in which she proved her prowess in technical terrain, on a fat-tired touring bike, technically. There isn’t much traffic on the Crest this time of year, but we still turned a few heads with a pair of each: Rohloffs, full-sized Porcelain Rocket framebags, Tubus racks and drop bars. Much like the freewheeling, early history of mountain biking; enjoying the mountains on a bike is not limited to an industry standard full-suspension rig, but is open to anything your legs can pedal. “Any bike, anywhere”, is the call of the American Rough Riders association, whose ideals are classically delineated, in Chris Kostman’s essay by the same name. Rather, Chris sets the cyclist and the bike, free. 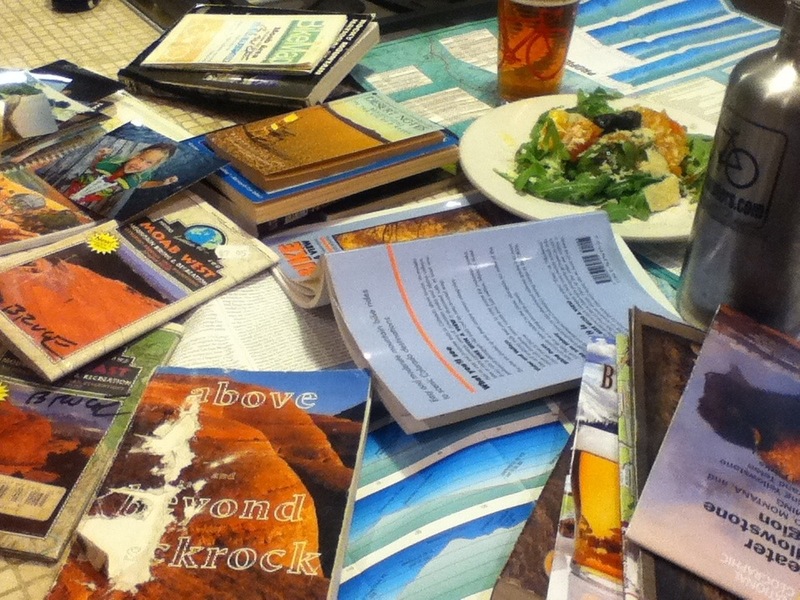 The counter is blanketed with maps and guides of places that had only existed in fantasy before now. I’m planning my immediate future, which is necessarily tied to the chance of snow as soon as next Friday, and beyond. Ideas overwhelm days remaining of this Indian summer, including some routes that are new to me. It may require an entire summer to ride all of this; there is no shortage of dreaming going on. My (partial) list of chores over the next year: the Colorado Trail, Kokopelli Trail, White Rim Trail, Arizona Trail, and the remaining portions of the Great Divide Route. Surely, the purchase of DeLorme state gazeteers for the southwest and mountain states would be money well spent, and would allow summers full of dirt and paved explorations off of the aforementioned routes and trails. Maps show a lot of green areas in this part of the country. Green is good; white checkerboard is generally not so good. Likely, I will ride mostly paved roads through Rocky Moumtain NP to/ward Steamboat Springs to resume Great Divide riding as I have the opportunity to meet up with a few other riders there in a few days. The next major crossroads offers either continued riding on the Divide into NM; or some exciting riding into Moab via the Kokopelli Trail, and beyond through Canyonlands NP, the White Rim Trail, Bryce, Zion, Grand Canyon, etc. The Arizona Trail lay in that region as well; Lael’s talking about walking. She’s also in Seattle now (air travel is amazing! ), so I resume my duties as captain of this ship. I’m open to ideas if I’ve missed anything. Nearly, darts are being thrown at the map– give me something to shoot at.